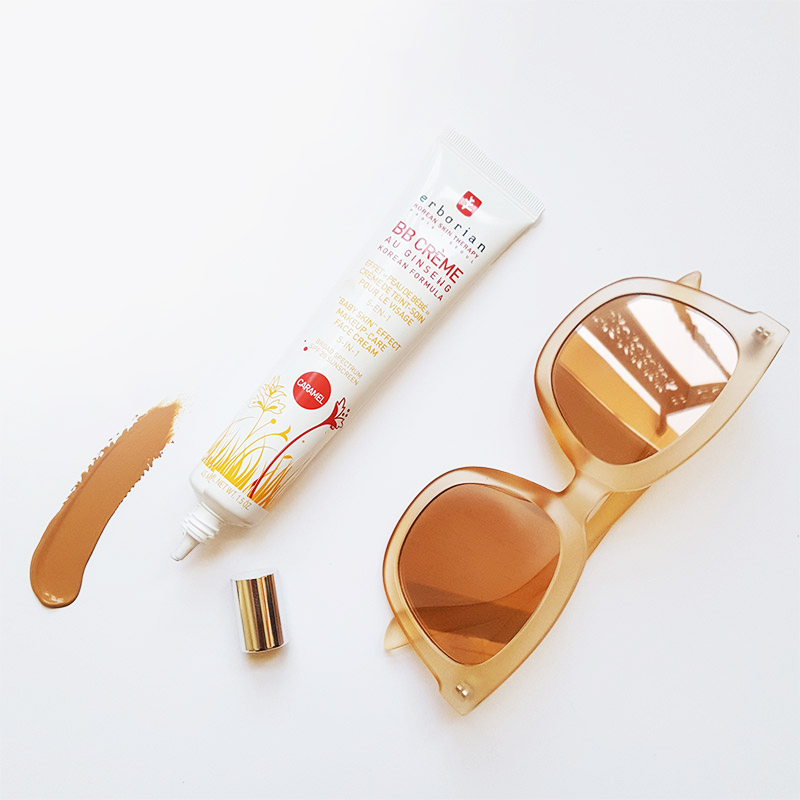 No need to go on holiday to get a golden complexion this summer! This ultra-fine, multi-action compact powder is the new must-have for anyone who wants to light up their complexion with a subtle, coppery-bronzed glow. Copper Glow puts the finishing touch on your beauty routine. Whatever the season, it kisses your skin with sunshine! With GINSENG BB CREAM Caramel, ERBORIAN has responded to an increasingly pressing demand by offering a natural, deep shade that is perfect for darker skin tones and tanned skin. Discover this iconic product for velvety, matte skin! Copper Glow : 3 application techniques for 3 different looks: Choose yours! First, apply your CC Cream to unify and enhance your complexion. Next, apply your Copper Glow powder over your entire face with a Kabuki brush for a natural and luminous result. Enriched with camellia oil which is known for its protective and nourishing properties, Copper Glow keeps your skin hydrated and leaves it looking satiny and subtly bronzed. For any time of skin, even oily or combination, Copper Glow can be used as a blush to achieve a healthy, copper-bronzed glow. 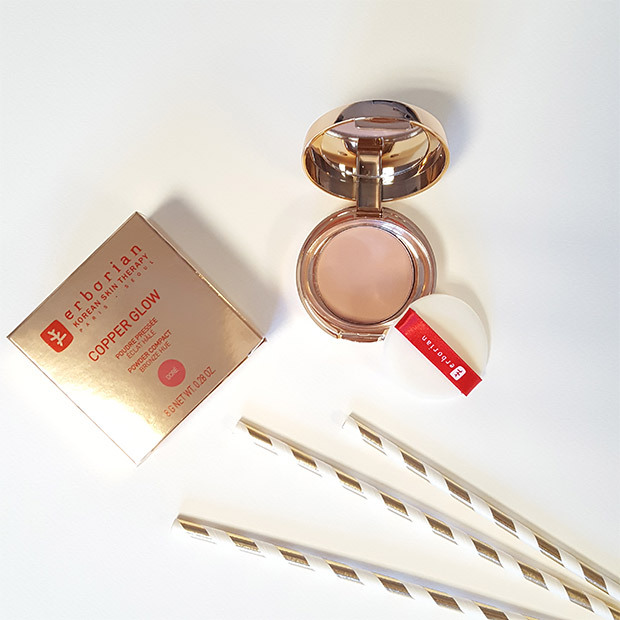 Apply Copper Glow on your cheekbones for the final touch for a perfect complexion! To get a perfect healthy glow effect! Is your skin lacking light or sun? Copper Glow will become your perfect summer ally, the perfect final touch for a golden complexion! First, apply CC Cream over your whole face to even your skin tone. Then, depending on your skin tone, apply BB Cream Doré or BB Cream Caramel to get instantly velvety and golden skin. Perfect your summer look by applying Copper Glow in the shape of a "3" from forehead to cheekbones to chin with a Kabuki brush. Your skin will look luminous and subtly sun-kissed!